Norwegian Air today announced it will launch flights from Los Angeles, Newark and Oakland to ROME starting later this year and into 2018. This is the first time the Bay Area will see nonstops to Italy since Alitalia’s SFO-Rome service ended many years ago. 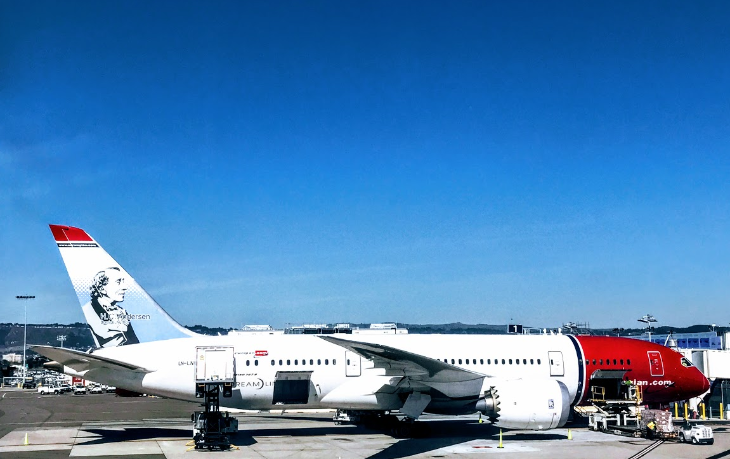 Rome-Fiumicino will be Norwegian’s seventh long-haul European destination from the U.S. following Barcelona, which will launch this June; Paris; London; and the three Scandinavian capitals of Copenhagen, Oslo and Stockholm. Norwegian says that one way fares from all three cities to Rome will start as low as $189-$229— but keep in mind that you will rarely find fares that low to return, and you’ll also be faced with a panoply of fees for checked bags, seat assignments, etc. 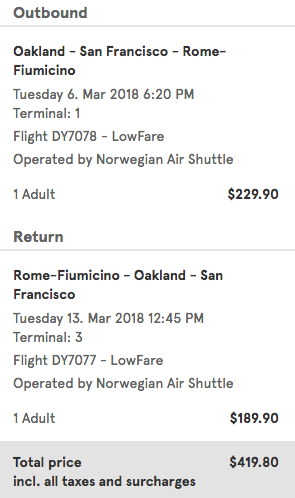 However, checking today, we found a fare for just $419.80 (including taxes) for a March 2018 round trip between Oakland and Rome. That’s a great deal that will not last. 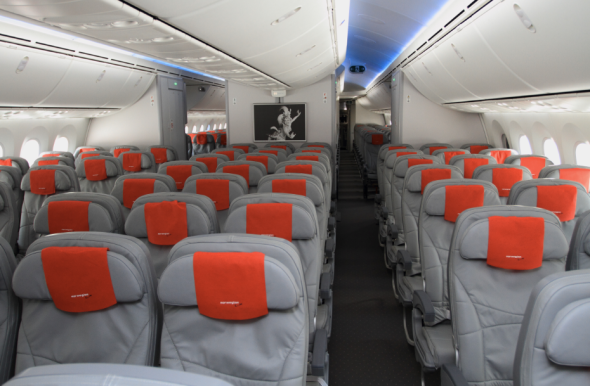 Norwegian will fly its brand new Boeing 787 Dreamliners offering both an Economy and Premium cabin on the route. Norwegian’s premium service is a good low-cost option for business travelers– especially those from the Bay Area who’d prefer to take a nonstop flight. Flights from Oakland International Airport to Rome will launch on February 6, 2018, with a twice weekly service. Fares from Oakland start from $229 one-way, including taxes. Premium fares from Oakland start from $719 one-way including taxes. Flights from Newark Liberty International Airport will launch on November 9, 2017, and operate four times a week until the early February 2018 when it increases to six times per week. Economy launch fares to Rome from Newark start as low as $189 one-way, including taxes. The lowest fares in Norwegian’s Premium Cabin to Rome from Newark start at $539 one-way including taxes. Service from Los Angeles International Airport will launch on November 11, 2017, and operate twice weekly until February, when it becomes a thrice weekly service. Fares from Los Angeles start from $229 one-way, including taxes. Premium fares from Los Angeles start from $719 one-way including taxes. All fares are now available for sale on Norwegian’s website. 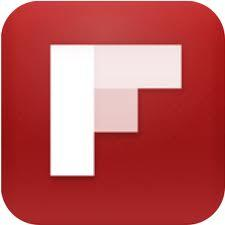 Additionally, the website’s low fare calendar displays the lowest available fares to all of Norwegian’s destinations. Have you flown Norwegian yet? How was it? Will you consider it for your next flight to Rome?